When you think that all of your previous decisions resulted in something better than had actually panned out, you are more apt to repeat the same decisions and eventually repeat the same mistakes. Usually, when you are placed in a situation wherein the same variables are in place, you are more likely to repeat the same decision you made when you found yourself in that crossroads in the past. Thinking that a certain decision will always lead to gains is one reason for why speculators have been hurt in more ways than one by their retrospective thinking. When investors are caught in a tight place because of their not-so-profitable investments, there is always that promise to oneself to take off some money from the investment table once the tides turn. However, once your rosy expectations of your investments materialize, you would find that it’s easier to renege on your commitment than exercise self-control. When self-control is something you don’t have to practice until the distant future, you may be overly optimistic about that trait until when it really matters. Representative bias is a phenomenon where an individual makes decisions based on how certain things and situations are similar to each other. They do not have to be completely identical with one another but they do have to share one common factor. The problem with this is just because a certain stock has the same quality as a profitable stock which you purchased in the past does not mean that the same outcome will hold in the second scenario. The problem with over-planning to the point that you wait very long so that you can time your investments is that you place on yourself a wrong assumption for why you fail or succeed. When you implement a strategy wherein you over-plan and the results do favor you, you only assert the assumption that you have the gift to foretell the future and that your abilities are beyond compare. However, if things went the other way, then you attribute your failure more due to bad luck than your abilities or lack thereof. Despite having all the information you need, failure is still bound to happen no matter how much you plan, and that ROI you’ve been hoping for may never materialize. Even expert investors in Nick Scali public listing have problems with making rational decisions when it comes to where to place their money and when to make their bets. With those expert tips above you would be able to get a good picture on what to avoid. About the author: Kent Farell is an experienced registered financial planner and writer. 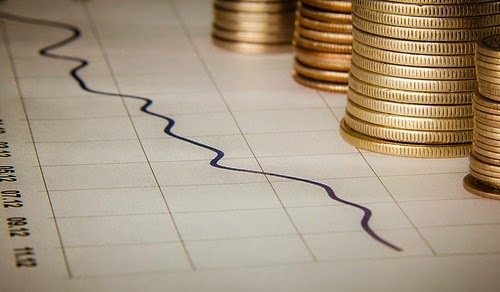 His blog is full of useful tips to invest wisely. He also shares his insights on debts, financial management and lease financing.